Martin, you want something massive? Check out K2CPO's findings here in the CW forum 3rd topic down, complete with Navy knob, 21/4 lbs. and as Bob Barker says "The Price is Right"
However I admit that this is mainly driven by nostalgia. We had a beautiful example of that key in the electronics lab in my school in England, but I can't honestly remember whether it was much good as a key! What I do know is that I seem to prefer larger keys, and a Navy knob. Still chugging along. Nearly ready to launch back into the "new characters" progression. Main thing holding me back recently has not been motivation or skill, but time. Very busy with work. Having fun though, and probably splitting my time 50/50 with the Morse: half of the time with Koch practice, the other half monitoring CW QSOs and W1AW on the air. Learning a lot about propagation on 20m, 40m and 80m even with my primitive homebrew regenerative set. Copying CW through QRN, QRM and QSB. Getting better at copying the "standardized" exchange of call signs that I hear. Countries monitored on CW so far: USA, Canada, Hungary, Denmark, Russia. Getting there, getting there. Swamped with "real work" from my "day job" but still making sure to get in between 30 and 60 minutes of CW per day. I can see a slow improvement, especially in the "automatic copy function" in my brain. Still tough when it "goes off the rails" but those cases are slowly diminishing.... Still having fun, and don't care if it ends up taking a long time to get to the end of this journey (within reason!). PA0WV/Wim, I still haven't downloaded your word-randomizing program ... will surely get to it soon. Yeah, work and real life keep interfering with my ham radio hobby too... I still listen even if it's only for a little bit. Good thing WA1W transmits its code practice on multiple bands because some days and times are better than others. --It is relatively effortless. A five-minute drill doesn't seem like an eternity, and my copy accuracy doesn't deteriorate over those five minutes (if anything, it improves). --Almost all of the "inaccuracy" consists of dropped characters (rather than incorrectly copied ones) and they are usually isolated in bunches of two or three characters; I am seldom dropping entire character groups. --I have become modestly capable in "copying behind" and that helps with (a) long groups and (b) groups with lots of short characters in succession (E or I, for instance). I am READY TO PROGRESS to the next character. The 24 characters learned so far are: K, M, R, S, U, A, P, T, L, O, W, I, ., N, J, E, F, 0, Y, V, ,, G, 5, /. Today I am adding the 25th character which is that famous letter Q or dah-dah-di-dah. A good way to ease into "learning additional characters at last." Settings: 20wpm Actual Character Speed combined with 17wpm Effective Code Speed ("Farnsworth spacing"). Task still to be done: download the "word randomizer" devised by PA0WV/Wim and start copying real words, not just nonsense Koch drills! --Some QSOs I just can't copy at all, even relatively slow ones, because the sending is so differently shaped, compared to the "perfect" drills I'm working from. --Many QSOs are too fast, although I can copy little bits and pieces of them. --And, of course, I only "know" 24 of the 40-odd elements! Time spent on learning CW so far: Exactly three months, at about one hour per day. Overall: I'm having a LOT of fun. Very different from those doldrums I was in during that Morse-learning "plateau" a month ago! Chugging along, at the 25-character level, having added the letter "Q" a couple of days ago. Best score so far is 86 percent, on the 5-minute drills. --Progress continues to be slow. --There is a lot of variation from one session to the next, apparently dependent on "mood." I'm thinking of trying the "relaxation exercise" from "Zen and the Art of Radiotelegraphy" (http://www.qsl.net/ik0ygj/enu/index.html). Lying on the floor for a few minutes before each session and just sort of chilling out. Carlo's book is fun, it was my bedtime reading last night. The only danger with doing the relaxation exercises is that XYL will think OM is ever more eccentric than usual (and that's saying something!). --The progress, albeit gradual, is measurable and constant. --There's a definite improvement in the "copy behind" skill although I do have to be careful to avoid "over-using" it because when that happens, the "memory buffer" gets too full and I miss some of the following characters. --The copying is increasingly "automatic." I catch myself thinking about something else altogether, while copying. Strangely enough that doesn't seem to lower the accuracy rate. --When monitoring on-air QSOs, I am getting much better at callsigns, and also catching more and more "entire words." These are almost entirely short words such as prepositions, articles and conjunctions, but still, that's a start.... Yesterday there was a contest for "elite" First-Class Operators and I was surprised to find I could copy fragments of it, even though the code was often very fast. Speaking of Zen and the Art..., I was very interested in the part of Carlo's book where he talks about skills that are processed in the "primitive" part of the brain, which has a much faster "processor" than the "rational, cerebral" part of the brain. This ties in very much with the discussion in that other thread about "Scientific Evidence on Morse Learning." The time horizon: I really don't care how long it takes. But let's say it takes me 4 days to assimilate each remaining character. At that rate, I will have all the characters done within the next two months! Of course at that point I won't be a CW wizard, in fact I'll just be starting out really, and it will be time to Get On The Air. Somewhere around April Fool's Day. Zen and the Art... advises doing just 15 minutes of drills per day, in order to assimilate the 40 characters in the space of ... six weeks. In my case it may end up being more like 5 months, with at least one hour of practice per day (widely spaced throughout the day). To each, his pace.... (as it happens, I'm using the same G4FON software that Carlo suggests using). Still making good progress, I should be able to move on to a new character soon. Today's news is that, with fantastic technical help from Wim/PA0WV who wrote some software, I have been able to generate MP3 files containing transmissions of actual English words that still meet the requirements of the Koch method, i.e., they are generated from a limited character set (in my case today, 25 elements). So in addition to the usual "nonsense" Koch drills (example: LP UNNQ A LTY ....) I will be supplementing the drills with new ones that sound like this: WORKER NUTS POOR OUTLINE RETURN WARN NEVER. These words will contain only characters that I have learned already! So it's a little bit like monitoring QSOs on the air, but without the frustration of "unknown characters." Because these words "make sense" I am hoping that I will make some modest progress in "head copy." At the very least, I will become accustomed to copying "real words" and that's important because they are very different to random drills, especially as concerns the distribution of characters. Koch feeds you an equal amount of each character, but in "real English" some characters are much more common than others. Not necessarily, it depends on what program you use. Just Learn Morse Code feeds you more of the characters you learned last, and it also feeds you more of the characters you miss the most. As far as I know, the G4FON software that I'm using transmits equal quantities of each character, except if you check the option called "favor the most recently learned characters" (which I don't do, except if I find a new character exceptionally hard). I'm copying on paper, not on a keyboard, so feeding the characters that I missed the most would have to be a manual option I guess? Thank you for pointing out that the programs vary in their approach to character frequency in drills. I think you should try it. According to your reports here, you need more than one session for each character you add. Getting more repetitions of the newest characters is not likely to hurt you. There are technologies available for using handwriting as text input, so it wouldn't have to be manual. I did try it for a while, but it didn't seem to make much difference except for the occasional, exceptionally hard character. For new characters, I need not just one session, but more like 30. That's right, 30 five-minute sessions for each new character. 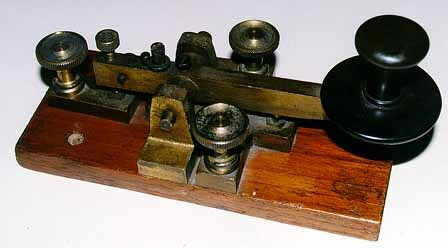 I work at home, so what I do is take a 5-minute break for Morse code, every hour or two. So even in the best circumstances it takes four days to learn a new character. I did attempt to go through the character list much faster, but if you go back to my December posts in this thread, you'll see that this had very bad results. I've now decided I just need to "take my time." This has also had the welcome result of "taking the pressure off" -- which actually helps quite a lot with the code learning. No more worrying about it; if I have a bad day or two, so be it. It has also restored the "fun factor" which is key I think. My problem when adding new characters is not usually the new character. Indeed, the new character is very distinctive (because it's new to the ear) and therefore in some ways easier to copy. What happens more often to me is that when I add new characters, the OLD characters go wonky. I have no idea why this happens, but it's not unique to me (I've heard other people say exactly the same thing). In other words stuff that I "knew" yesterday falls apart today. In the end, the main lesson that I take out of this might turn out to be: persistence is the key. That is why it would be beneficial to enter (one way or another) what you copy into the computer in real time and use software that drills you more on what you miss. Right moment to start all over again with the subset of now missing characters only, in order to try to prove that Koch was a scientific crook. I'm sure you are correct. I touch-type at 80wpm so it would be easy. However I just want to do it the old-fashioned way, with pen and paper. The only reason I'm using a computer at all is because the Koch method is very hard to do without a computer. Yes I know I'm weird. To me, the attraction of Morse (and ham radio) has a lot to do with simplicity and the satisfaction of building things myself. As for drilling me on what I miss ... it literally changes from day to day, and from drill to drill. And some days, everything is wrong. I did one drill this morning with less than 50 percent accuracy. I've basically just got used to it, it doesn't upset me any more, I just keep pushing on because I know that the setback is temporary. I'll say it again: there is no consistency at all in the characters I miss. At least, not now. Two months ago the problem was with the G-W character pair among others. Today, it's different. Either I have a good drill at more than 90 percent accuracy, or I have a bad one, but it's not like there's a particular stumbling block with particular characters. I'm advancing. But very slowly.